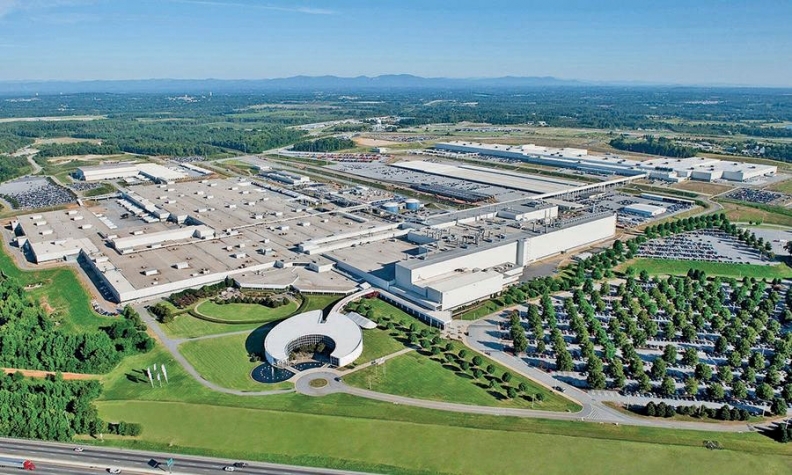 BMW is using methane gas from a landfill near its Spartanburg operations in the U.S.
BERLIN -- BMW's plan to switch exclusively to green electricity finds it tapping some unusual power sources -- including a South African biomass plant that runs on cow dung and chicken droppings. The arrangement is part of the carmaker’s bid to shift all its external power purchases to renewables by 2020, up from 63 percent last year, head of procurement Markus Duesmann said in a speech at the United Nations climate conference in Bonn. Meeting the target means the carmaker will buy local clean power for all its 31 production sites in 14 countries, said Duesmann. BMW is already getting power from diverse sources such as wind turbines at its plant in Leipzig, Germany. It’s also getting methane gas from a landfill near its Spartanburg operation in the U.S., he said. BMW’s effort to switch to renewable energy comes as the carmaker is spending billions on a suite of electric vehicles. Claims of manufacturers making cleaner vehicles are under scrutiny as the amount of power and raw materials involved in production of batteries and electricity sources offsets advantages of emissions-free cars. In practice, BMW will need to find enough extra power from renewables to supply the equivalent of about 222,000 average homes, based on its annual electricity use of about 1 terrawatt. To get there, BMW will seek more supply deals with solar energy providers, Jury Witschnig, head of sustainability strategy, said in a separate phone interview Tuesday. Half of BMW’s energy needs funnel into heat for processes like painting cars, he said.